Abbey lives in a town called Sleepy Hollow which is named after The Legend of Sleepy Hollow by Washington Irving. Abbey has lived in this town her whole life with her best friend Kristen at her side. They did everything together and even had special traditions. One of them was visiting Washington Irving’s grave periodically. One summer, all of this changed for Abbey. Kristen went missing. They found her blood at a bridge near the town. Which is also one of the places that Abbey and Kristen agreed to never go to alone. After no luck of finding her, she is declared dead and an empty casket is buried. Abbey is having a hard time dealing with this, but she still has hope that Kristen is still out there alive. After the funeral, there’s a party at Kristen’s house. Not wanting to be around people, Abbey goes down to the basement where she meets a mysterious guy named Caspian. Caspian claims to know Kristen and is willing to help Abbey discover what really happened to Kristen. As she digs into Kristen’s dark secrets, Abbey learns more about Caspian and also Washington Irving. What secrets would Kristen keep from her best friend? How can Caspian be here one second and gone the next? What was Washington Irving hiding through his story? 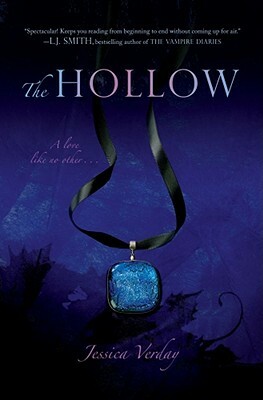 The Hollow by Jessica Verday is the first book in the trilogy. This book keeps you on your toes with twists and turns where you would never suspect them. This book is full of mystery and romance. I really enjoyed reading this book, sometimes I had a hard time putting it down. I would recommend this to anyone who likes mystery and romance.